You might have faced low storage space issues at least once in your life. In most cases, it is the junk files which consumed a large portion of your local hard drive space. Windows 10 provides an easy way to recognize the junk files which consumes a lion share of local hard disk space on your computer. All you have to do is to check the Local Storage Usage feature. 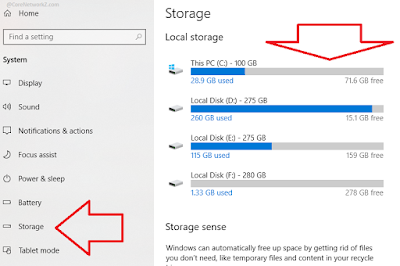 This tutorial explains how to use Windows 10 Local Storage Usage feature. 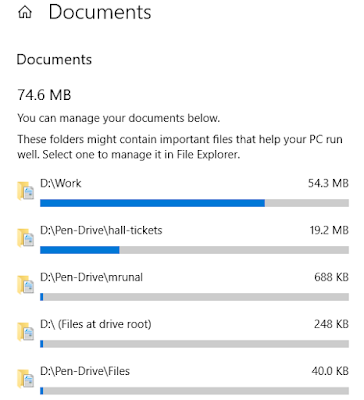 How to Find JunkFiles Taking Storage Space On Windows 10 Device? By Running Windows 10 disk space analyzer tool on your laptop, you can find the Apps and Files which consumes storage space. To run Windows 10 Local disk space analyzer tool on your PC, follow the instructions below. 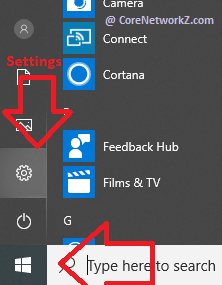 Click on Windows Start Menu and Click the Settings button. Under the Windows 10 Settings window, you should click on the System. Under the System, click on the Storage. 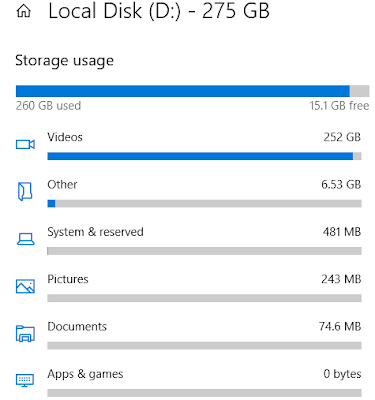 Once the Windows 10 Storage opens, you can click on the Local Hard Drive to inspect the space allocation for each App and file. How to Delete Unwanted Files Which Consumes Windows 10 Local Hard Disk Drive? To inspect and delete unwanted files on your PC, follow the above instructions and then follow the steps provided below. Click on the Local Disk from the menu. You can see the category of files consumes space on your device. The below picture will give a clear view of the statement. Now I am going to inspect the files which are present in the documents category on this local drive. To see the files present in a category, click on that category. To inspect the files which consume the storage space, you need to click them. If I click one category, Windows Explorer will show the exact location on the hard drive. Now it is easy for you to decide whether a file needed or not. You can delete any files which are no longer required and free the space on your Windows 10 laptop. So any time you feel your Computer is running out of storage space, you can easily decide which files should be deleted to clean the storage space by using this builtin Microsoft tool.